"There is no activity that would lead to an assessment that a missile provocation by North Korea is imminent," Joint Chiefs of Staff spokesman Roh Jae-cheon said as quoted by the Yonhap news agency. 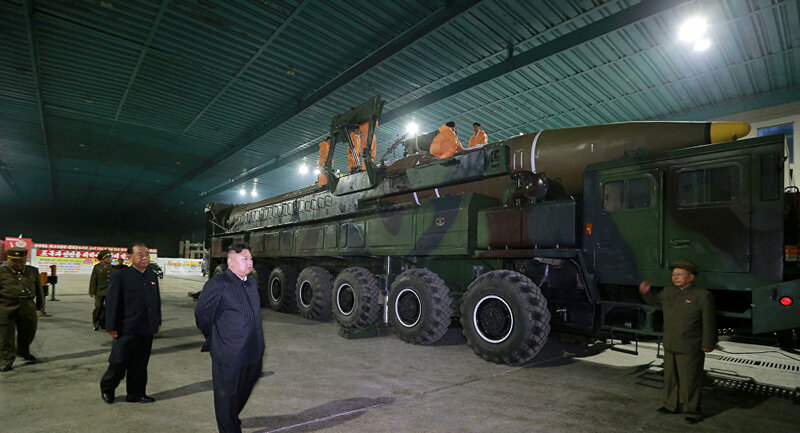 However, CBS news network reported Tuesday that Pyongyang seemed to be in the first stages of preparations for another launch of an intercontinental ballistic missile (ICBM). US ambassador to the United Nations Nikki Haley confirmed this week she had heard these reports as she threatened the North with even tougher sanctions if it goes ahead with a missile test. North Korea fired an ICBM in late November, claiming the missile put the entire US territory in the striking range. The country has been targeted by rounds of US, UN and EU sanctions over its ICBM tests.